Overall description/purpose: This report can be considered as a Shift Leader / Management report for a day-to-day operational overview of the performance of agents. 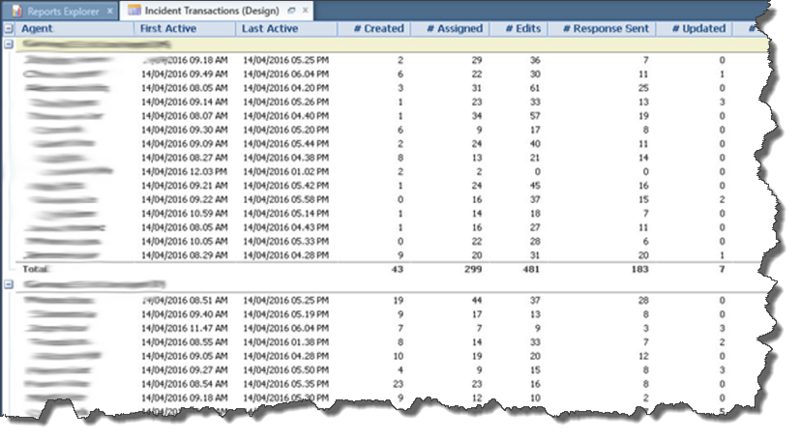 It is an intentionally plain report to show the possibilities of the transactions table when reporting on actions taken on incidents. Use case being served: A vanilla report that can be used as a starting point in defining your own report based on the transactions table and defining your own KPI’s by combining the different columns. Conditional or exception based formatting could easily be added to highlight specific thresholds for your business processes. The following section is intended to detail specific areas of the report that are not well described by the PDF report definition. Tables, columns, and filters definitions are shown in the PDF definition. We are experimenting with leaving these report recipe posts open for comments, because we want report chefs to hear how their report recipes helped you. 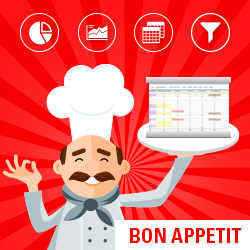 If you found this report recipe helpful, please give Bastiaan's post a thumbs up and leave a comment letting him know you appreciate his help, how this report helped you and your organization, etc. If you have a question about this report recipe, please start a new topic in the "Reporting and Analysis" forum board and link to this report recipe in your question. DO NOT post your reporting question here. We will remove any comments asking for help in the comments of this post. This is an amazing report and it helped me solve a query in one of my business scenarios that went unnoticed for a while. I created a report that counted the number of responses that were being sent out by advisors using the threads table (threads.entry_type and threads.chan_id). After I built your report i noticed that there were some count mismatches between the numbers in your report's #Response Sent and the one that I built. 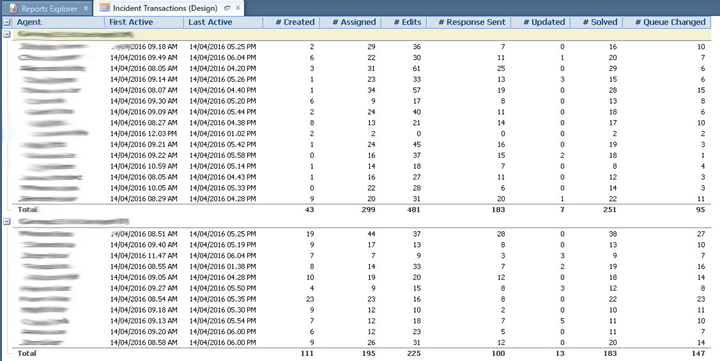 I created drilldowns in both reports and checked the counts. Turns out that in the report I built, the count was coming a little higher because my report pulled in the incidents where a response was written and committed to the thread but the agent forgot to select 'Send on Save'. I alerted the business about this and the catch was well appreciated. Thanks for putting all this together, we are new to RIght Now and I have found your report definition and explanation very clear in helping me understand where to look for the data and how to put a report together. It has been a great help and your effort is very much appreciated.. Awesome report! I created this on our side and my boss loved it. 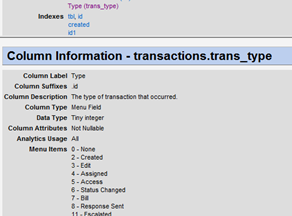 The column 'updated' counts the number of Status Changed Transactions with id 8. When an incident is updated 2 times by the customer back to back, the transaction table has only 1 entry.The the total number of updates by the customer should be taken from from the Threads table. You can just play around with the Source ID's to specify exactly what you want to count. That is the whole purpose of this report to get you started with that. So basically the agent in question could have assigned the incident to him/herself or to anyone else and still the count would show up against their name. Shouldn't there be a way to segregate the #Assigned column in such a way that only the incidents that are assigned to that staff account be displayed there. If you would like to show any incident that was assigned to this agent you would join the accounts like we discussed in that other thread. You would need then to add a second join to the accounts table and end up with 2 transactions tables, each providing a separate flow of transaction types.